If you are like most truck owners, you feel lots of pride riding around in your pick up truck. And while owning a truck is not for everyone, those that do so are usually a little more attached to the brand of truck that they own. This is why you have probably seen many truck owners badge their vehicles with their manufacturer logo on many items of their vehicle. Since it not only looks great, but makes your truck look more like a truck many owners now look for specific accessories with badging. Here are some of the more popular items to purchase. If you love the look of a nice Chevy, Ford or Dodge logo on your vehicle, you can now find graphics that are not only great looking, but easy to affix. Many graphics come in vinyl form, which means that peeling and affixing is pretty simple. Whether you are looking to add a decal to the cab window, the side of your vehicle or on the lift gate, you can find plenty of graphics that definitely enhance your truck. Another great way to show your pride for your pick up truck is with both mats and seat covers that offer badging logos. You can add quality, after market mats to your truck that keep your boots or shoes dry, as well as seat covers that are warm and comfy. There are plenty of badged items that can theme your interior so that it doesn’t look stock. Other badged accessories include mud flaps, bed liners and a whole slew of other great items. Just walk into any auto part shop or go online and you will find plenty of ways to show pride for your truck. 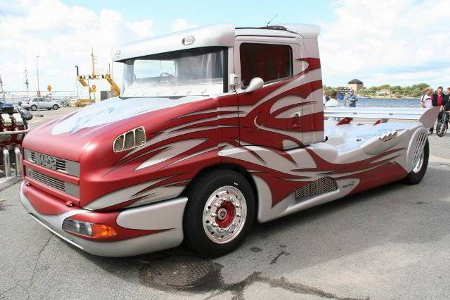 For many truck owners, getting the most performance out of their truck is of supreme importance. Over the last two decades or so, there have been plenty of innovations that both increased horsepower and torque substantially, but even with these advances many owners want more power. So how do you pump up horsepower and performance easily and affordably? Here are a few tips that have been proven to work. One of the ways to always increase performance is to increase airflow (specifically oxygen) which is the catalyst that burns with the fuel and creates power for your vehicle. By allowing your truck to breathe in air better you can usually increase horsepower in the range of 5 to 20 hp. Some of the methods used to increase hp this way include installing bigger air filters, reduce intake piping and using polished intake manifolds which are very helpful at cutting back on the resistance of air. Many of these items are easy to install and very affordable. Just like there are plenty of car chips available, your truck can also benefit from a chip. 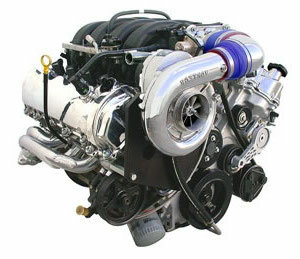 Keep in mind that when boosting performance, you usually decrease fuel efficiency and you may even increase emissions. However, if you are looking for some serious power, a chip can come pre programmed with settings that give your truck some extra oomph and performance. Another easy way to increase horsepower and performance is to add a larger exhaust. Whether it is the manifold, muffler or pipes, making the exhaust exit your vehicle easier will usually bump up horsepower 5 or 10 horses. So, if you want to get the most performance out of your vehicle, follow these tips to add some extra power and horses to your trucks arsenal. 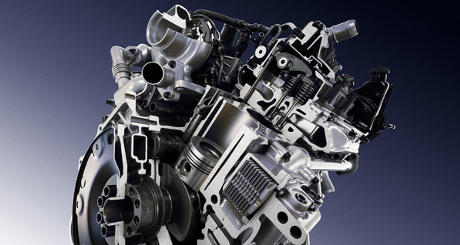 For 4×4 enthusiasts everywhere, the engine is still the lifeblood of your truck, Jeep or SUV. General Motors understands this fact. And with skyrocketing gas prices earlier this year, there has been lots of headway into developing diesel engines that not only offer fuel efficiency, but lots of power as well. Today, more and more 4×4 makers are recognizing the need for fuel efficient vehicles that don’t skimp on power and one of the first breakthroughs is GM’s new Duramax 4.5 liter Diesel engine. While a 4.5 liter diesel engine might not sound like it is tough enough to tow heavy lows or carry lots of weight, many skeptics have been proven wrong by terrific numbers posted by this engine. And while the Duramax diesel engine is just the beginning, many are very optimistic at what lies down the road for the Duramax and other manufacturer’s diesel engines. Here are just some of the more interesting technical specifications the Duramax diesel engine delivers. First off it offers a unique 72 degree V configuration which means it can fit into tighter spaces and smaller vehicles. The block is made from compacted graphite iron which is usually much better than aluminum and even lighter that the normal gray cast iron engines that have been traditionally made. It should also be noted that the cylinder heads have a feature which creates airflow that is backward utilizing integral exhaust manifolds. Also the EGR cooler, oxidation catalyst and the turbocharger are all mounted in the valley to reduce heat and maximize cooling. So with all this technical innovation how much does this V8 4.5 liter Duramax diesel engine save you in fuel efficiency- a very respectable 25% compared to gas V8’s. For 4×4 enthusiasts, there is a special pride when you have a nice, clean, well detailed truck, SUV or Jeep. If you are looking to enhance your vehicle, one of the best ways to do it is by detailing it. Detailing is just a fancy word used to mean that you clean your vehicle from head to toe. While 4×4’s are usually great looking when there’s mud all over them, when on the road, its always a good idea to make sure your 4×4 vehicle sparkles for everyone to see. Here are some tips on detailing. Today, you can walk into most auto parts shops and large auto retail big box stores and see a whole line of products made especially to detail your car. 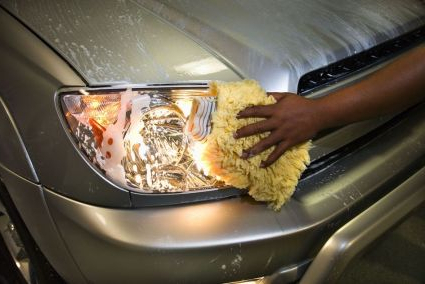 There are plenty of exterior soaps, waxes, cleaning equipment, shampoos, tire cleaners, shammy’s and more to make sure you do your job well when its time to detail. While a professional detail can cost a couple of hundred bucks to detail, wax and buff your vehicle, you can easily do it for at least ¼ the cost and much less if you detail your vehicle often. Just some of the items that you should definitely purchase when detailing your vehicle include a wash and wax combo, a degreaser to get off grease from the exterior, engine cleaner, tire cleaner, chrome cleaner, interior rug shampoo, leather and vinyl protectorate, an all purpose cleaner, glass cleaner, good shammys, a few towels, a bucket, soft sponges and brushes. For those planning on detailing their vehicle for the first time, just note that practice makes perfect. It can take a few trials to get your vehicle nice, clean and shiny. There are also plenty of books available that go through the entire process in lots of detail.